Partition gone wrong, vanished HD space. Discussion in 'Windows, Linux & Others on the Mac' started by Jaredmf1012, Jan 28, 2012. So I was partitioning 100GB for a bootcamp partition and it I accidentally forced quit it. From the looks of it the main partition is still whole at 250gb but where is the 100GB of space? I was hoping to delete it and get the free space back. Did you use Boot Camp Assistant to partition your HDD? What does Disk Utility say? 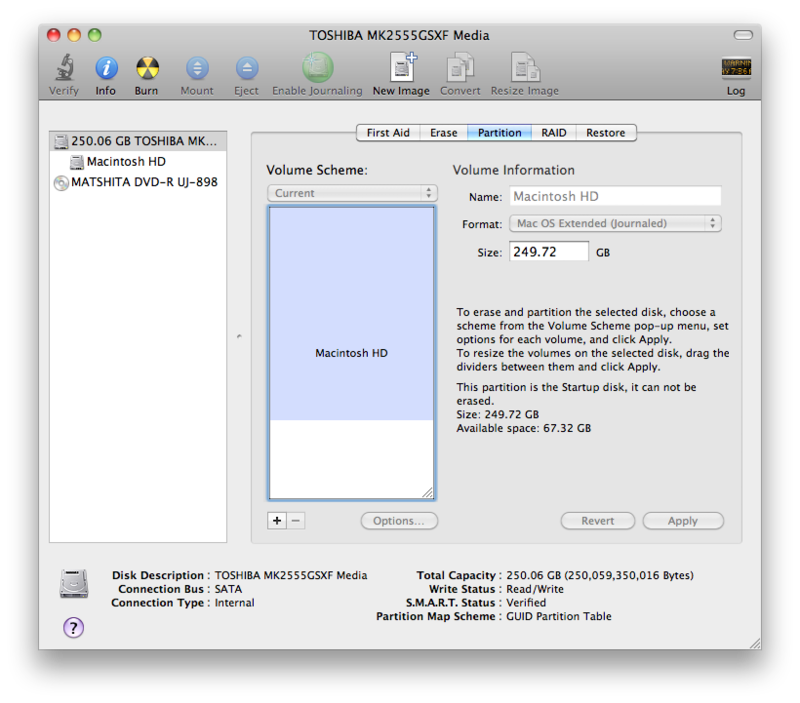 You open Disk Utility (Macintosh HD / Utilities / or CMD+SPACEBAR > "disk utility") and check the partitions via selecting the HDD you have and then the PARTITION tab. It's still one partition, but I'm assuming that the 100gb was taken into a temporary folder or something? have you tried putting a gallon of water in a pint bottle!